Gibson has been around for over a hundred years, and it has become one of the most iconic guitar brands in the world. The name Gibson is synonymous with top-grade guitars. 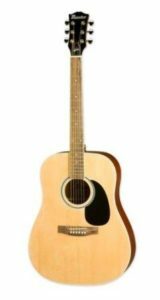 One that promptly comes to mind is the Maestro, which comes in different shapes and sizes and is designed for beginners or anyone who wants a lightweight acoustic guitar. The Gibson Maestro is available in two sizes: the bigger 40” model and the smaller 30” model. In this review, we talk about the mini version and how it fares as a guitar for kids and teenagers as an affordable guitar. Does it live up to the brand’s reputation? Find out. The Gibson Maestro 30” acoustic guitar has a laminated spruce top and laminated nato back and sides. It has a rosewood bridge and fretboard and a hard plastic nut and saddle. These are not surprising tonewoods and hardware considering the inexpensive price point at under $100. 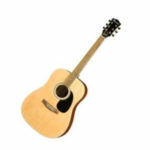 What will surprise you the most is the sound that does not seem to feel like it is a cheap acoustic guitar. It is not the best, that is for certain. But then again, looking at its price tag, you get a decent reasonable sound. If you want to get the most out of the sound, we highly suggest replacing the standard strings because, for real, the strings that come with this guitar is a big disappointment. In general, the sound is warmer than what you would expect; it is not muddy. If you prefer a brighter sound, you might be upset to know that this is not the suitable acoustic guitar for you. Although, we have heard that replacing the hard plastic nut and saddle with bone or something like Tusq will largely enhance the sound and make it brighter. In terms of playability, the Gibson Maestro 30” is not bad at all. Straight out of the box you would expect that this guitar will have an unbearably high action as you often get when you purchase low-cost acoustic guitars. Surprise, surprise, this guitar is so much easy to play with. Meanwhile, the size of the neck at the nut is 43mm, which is just comfortable enough for a beginner or a seasoned guitarist with smaller hands. The Verdict: Should You Buy Gibson Maestro 30”? In conclusion, the Gibson Maestro 30” is not ideal for performances and studio recording. But we assume that that is not what you are here for. 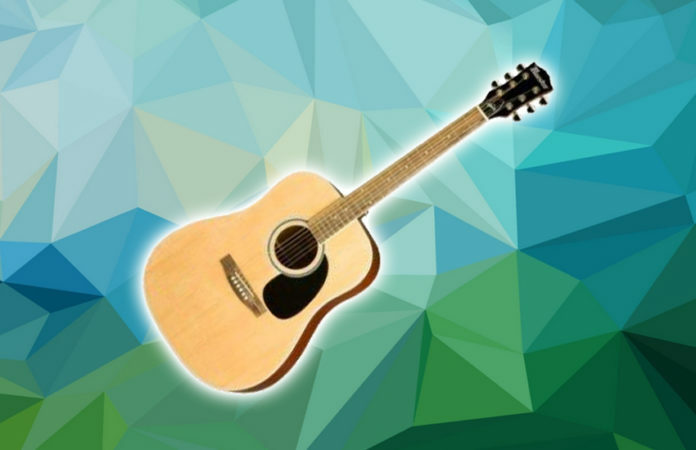 You are probably looking for an affordable guitar that is perfect for kids or teenagers who are still very new to the world of acoustics. If that is so, then the Gibson Maestro 30” is a great option. If you have plans to get this guitar, once again we suggest replacing the plastic nut and saddle with bone as well as the strings, the bridge, and bridge pins. Overall, we recommend it if you are looking for a beginner and kids-friendly guitar that is extremely affordable.